She might’ve had to be content with silver at the Rio Olympics, but as far as endorsement deals are concerned, PV Sindhu is striking gold. 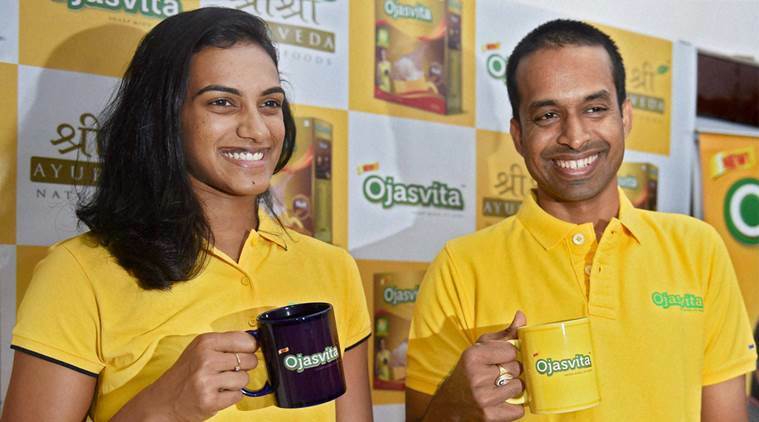 Over the last week, Sindhu has signed contracts with Vizag Steel, Bank Of Baroda, and the health drink Ojasvita, produced by Sri Sri Aurveda, and her agency says that several others are in the offing. Her Bank of Baroda deal is likely the biggest of the lot, and will fetch her Rs. 8 crore over 3 years. The Bank has also signed fellow shuttler Kadambi Srikanth. This is the first time a sportsperson will be endorsing Bank of Baroda since test captain Rahul Dravid. She will also endorse the health drink Ojasvita, produced by Sri Sri Aurveda (SSA). SSA has been promoted by Sri Sri Ravi Shankar’s Art of Living Foundation’s, and aims to take on Baba Ramdev’s Patanjali and other multinational companies. Sindhu plans to get 8 other brand deals, and will be able to net Rs. 50 crore from endorsements over a three year period. Sindhu had also been showered with gifts and cash prizes after her showing in the Rio Olympics. She’d received Rs. 1 crore from the Telangana government, 2 crores from the Delhi government and Rs. 50 lakh from the Madhya Pradesh government. The Badminton Association of India had awarded her with Rs. 50 lakh, and had been gifted a BMW by a businessman.